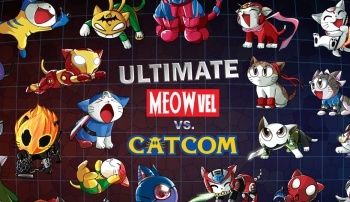 Marvel versus Capcom versus super adorable kitties! This image (tiny snippet at right, full size below) is the work of DeviantArt user "suzuran." As you can see, it's a poster of the various Marvel and Capcom characters from the upcoming fighter rendered as totally cute cats, complete with their trademark aesthetic motifs. The Ghost Rider cat has a flaming head, the Akuma cat looks like he's about to murder someone, and so on. This isn't the first time suzuran has taken a crack at this sort of project. Folllowing the release of Marvel Vs Capcom 3 earlier this year, she crafted a brilliant cat-themed homage to that game's characters. 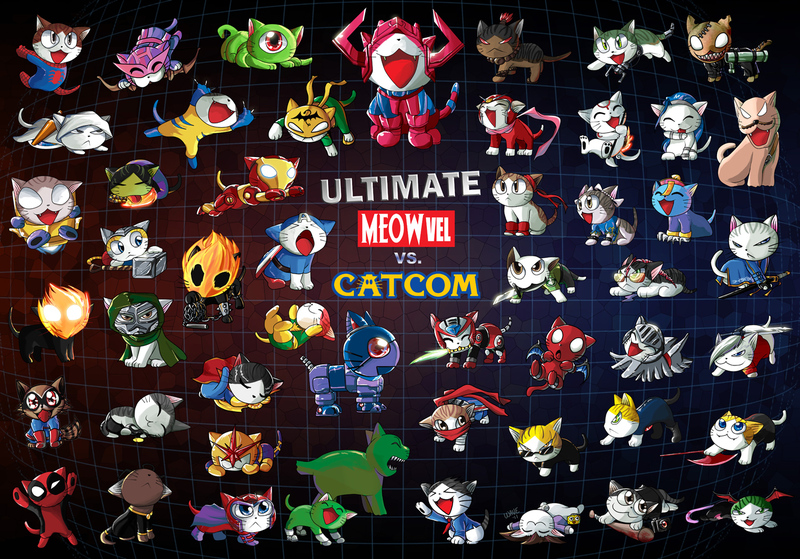 Then, once the existence of Ultimate Marvel Vs Capcom 3 was revealed (but before the roster had been announced), she put together this awesome image as feline speculation on who might appear in the title. We here at The Escapist have long been supporters of cats, cute and any combination of the two, and bundling those concepts within a gaming themed image of this quality absolutely guaranteed that we would have to share it with our audience.